In respect to Peter Lang’s commitment to critical and innovative scholarship around the world, this book series, Hip Hop Studies and Activism will hold up to the excellence and reading accessibility that Peter Lang champions among all other presses around the world. I appreciate Peter Lang because of the outstanding editing they do compared to my experience publishing books with fourteen different presses. Moreover, their book cover art and affordability of ebooks, paperback books, and hardback books, are far superior to most presses. The new and globally emerging field of Hip Hop studies founded in the early 2000s, coming out of the Hip Hop culture, community, and movement that is rooted in personal and collective – expression, justice, empowerment, and economic development. 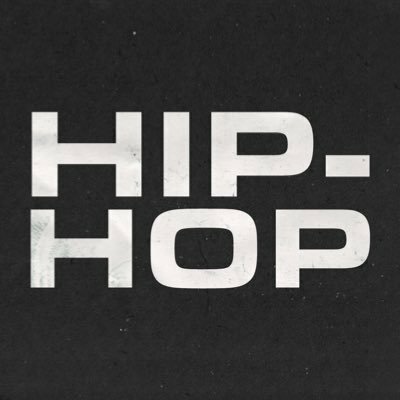 Hip Hop studies has grown into an international field of study with university courses, degrees, working-groups, conferences, lecture series, film series, articles, documentaries, books, journals, and programs. Hip Hop studies builds on Black studies, Pan-African studies, ethnic studies, critical pedagogy, media studies, youth studies, and African-American studies, but it makes a profound intersectional break from these other discipline by linking those disciplines together when theoretically examining systemic socio-political problems with socio-political grass-roots community organizing and activism. Hip Hop studies, moreover, sees liberation not as a single-issue phenomenon, but rather as intersectional related to human rights, justice, and self – empowerment and expression. In alignment with a key emphasis of other Peter Lang Publishing book series, Hip Hop studies challenges the traditional non-critical academic disciplines, which do not link theory to practice and practice to theory. Taking an interdisciplinary approach to questions of social change, moral progress, sustainability, and self-wellbeing the Hip Hop Studies and Activism book series will connect with a broad range of disciplines such as feminism, globalization, economics, science, history, environmental studies, media studies, political science, sociology, religion, anthropology, philosophy, education, and cultural studies. We believe the book series will prove to be a leading project in the field of Hip Hop studies and move the field forward in new and creative ways. We chose the title of the book series because we wanted to speak to the whole field, thus why we chose the term studies and we also wanted to speak to the community by deciding to use the term activism. This book series because it will not only be scholars and those from academia, but from the community will have a much larger audience interested in purchasing the books. We will also to make sure our books are not targeted only to academics will make sure that we limit the jargon and make conscious effort to have each book accessible for high school readers. This book series will be geared around social action, advocacy, and activism, while other book series are more rooted in theory and apolitical analysis. Against apolitical scholarship, Hip Hop studies argues for an engaged critical praxis that promotes the listening and defending space and place for marginalized and silenced communities especially Communities of Color and Youth of Color. We will therefore, make a strong effort to publish People and Youth of Color.